Gastrograph AI, a predictive analytics technology for food and beverage companies, closed a $4 million Series A round of funding last week. Gastrograph collects data about how people perceive flavors and with machine learning algorithms can offer food companies predictions on how they might react to new products. The round was led by Leawood Venture Capital and Japanese VC Global Brain, with participation from AI-focused investor Hyperplane Venture Capital, Chinese accelerator VC Bits X Bites, Japanese trading house Cornes Technology, and others. Different cultures and demographics have different food preferences and will perceive the same food in different ways. Gastrograph looks to take what they know about a demographic’s taste preferences to formulate taste profiles for products that that segment will like. For example, if a food company has a US product that it wants to translate to the Japanese market targeting 20-28-year-olds, Gastrograph will suggest how to reformulate the taste profile of a product to appeal to that demographic. The technology can also be used to develop new products — for instance maybe I take something that’s already in the market and say how can we make it better for our target segment. 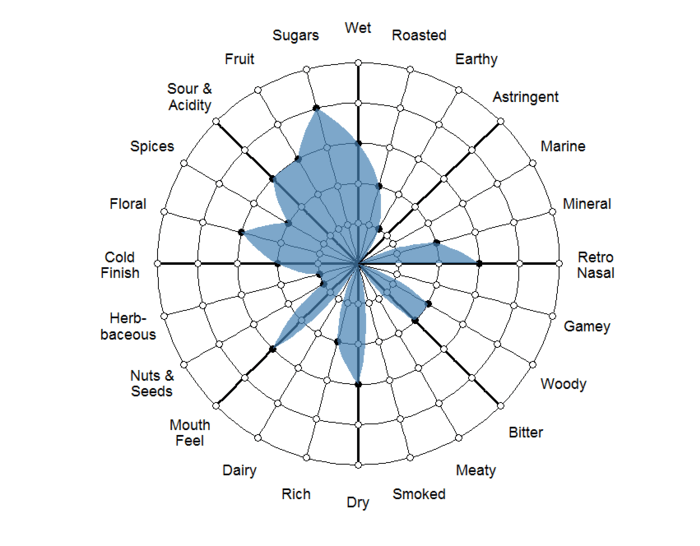 Gastrograph collects data from professional tasters across 600 to 1,000 variables of a food or drink’s aroma, flavor and texture, per tasting including descriptions such as wet, astringent, earthy and floral. Gastrograph calls these variables the “resolution” of the data. Cohen feels very strongly that you can’t use machines to replace human tasters. “We have proof it won’t work,” he said. Below is a typical beer review posted on the research page of Gastrograph’s website. More than 75% of Gastrograph’s customers are outside the US and 50% are in Asia, according to Cohen describing the heavy representation of Asian investors in the round syndicate. The startup also has a partnership with one of the investors Cornes Tech. Cornes is a specialist importer and distributor of electronics scientific equipment, and industrial machinery with particularly experience in promoting new technology. The company has preexisting relationships with food and beverage companies and reached out to Gastrograph in 2015 at the very early stages. The two companies spent two years working on the partnership. “Asian companies are more willing to adopt AI solutions for product development; they have less legacy systems and fewer competitive concerns about it,” said Cohen.